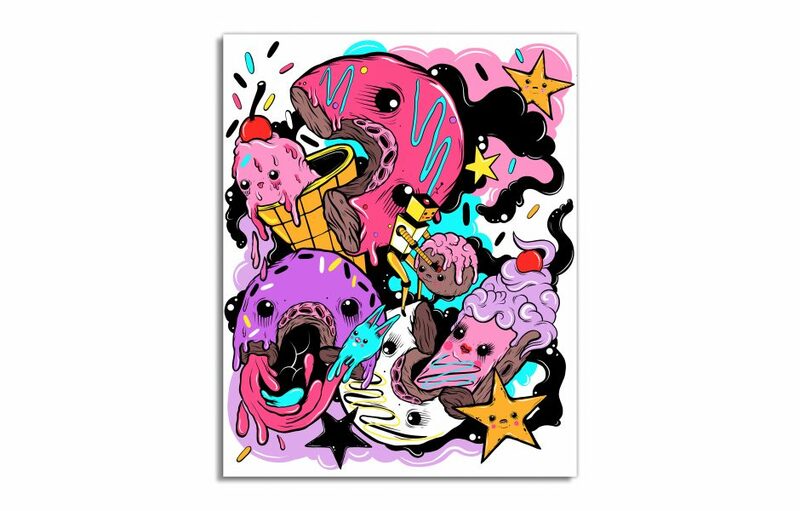 Last week Galerie F dropped this super fun new screen print by Chicago based artist Elloo, entitled “Save The Munchkins.” What’s really cool about this release is that it’s the artist’s very first screen printed poster! Hopefully we see many more screen prints from this talented artist in the future. Save The Munchkins by Elloo is a 16”x20” signed and numbered screen print. Limited to 50 pieces, collectors can purchase this delicious looking print now at the Galerie F online store for just $40.